Giving back by supporting scholars and beneficiaries. 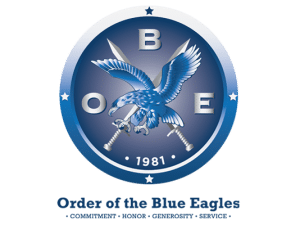 The Order of the Blue Eagles is a flagship project of the Ateneo Alumni Association established under the leadership of the then president and current Chairman Emeritus, Agustin Bengzon. Through the Order of the Blue Eagle, Ateneo alumni will be to able give back through their donations in support of the Order of the Blue Eagles’ scholarships and other beneficiaries. Upon making a pledge, an alumnus can belong to and move through the various donor ranks of the OBE. A free AAA lifetime membership card is awarded to the silver donors and above. Help deserving but financially challenged students in all educational units of Ateneo de Manila University from Grade School to Loyola Schools and Ateneo School of Medicine and Public Health. You may download the new OBE brochure here. You may donate to the Order of the Blue Eagles anytime by depositing an amount to any of our bank accounts. Kindly email us a copy of the deposit slip or screenshot of fund transfer to confirm your donation. Name: Ateneo Alumni Association, Inc.
Click on the button below to donate online. You may make your donation directly at the Ateneo Alumni Association Office at the 2nd floor of John Pollock Renewal Center near the University Dorms, behind Church of the Gesu. To request for an OBE account, kindly email obe@ateneoalumniassociation.org with subject “Request for OBE Account” containing your preferred username. Username must have no spaces and letters must be lowercase.